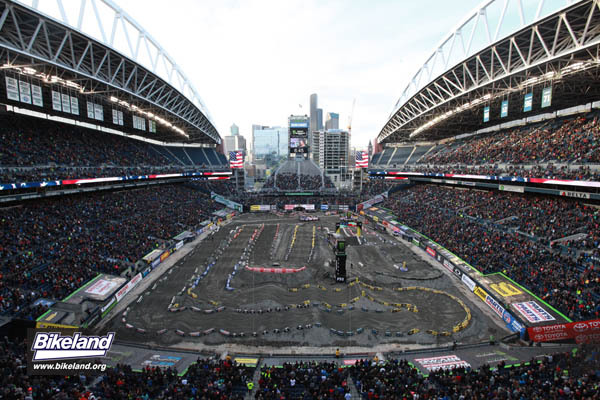 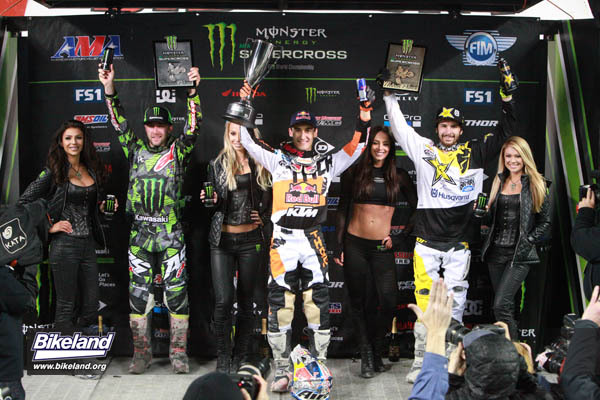 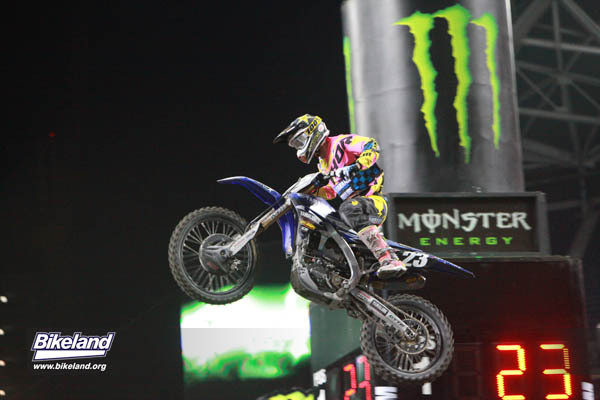 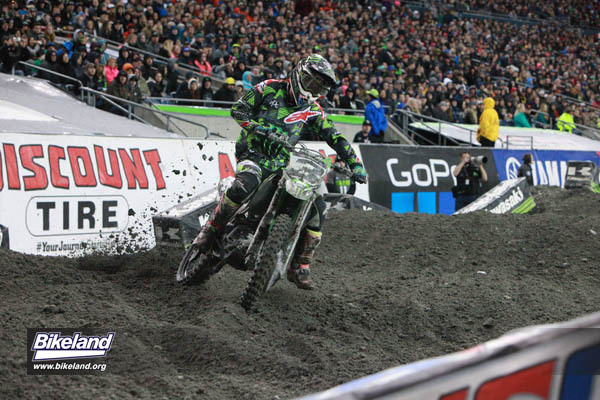 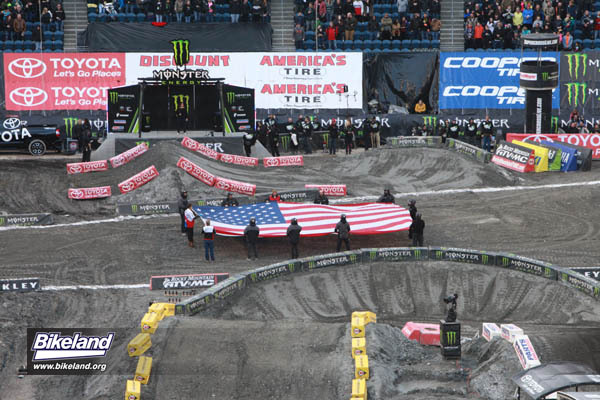 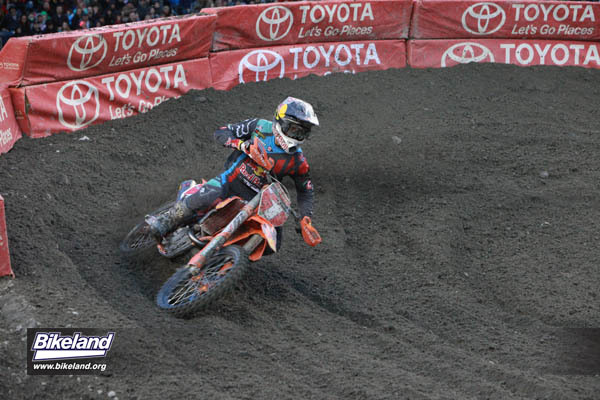 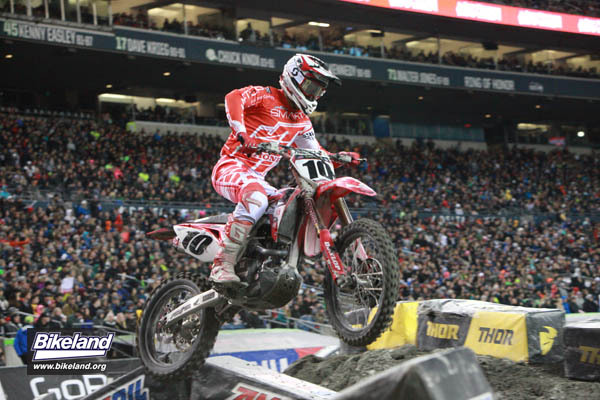 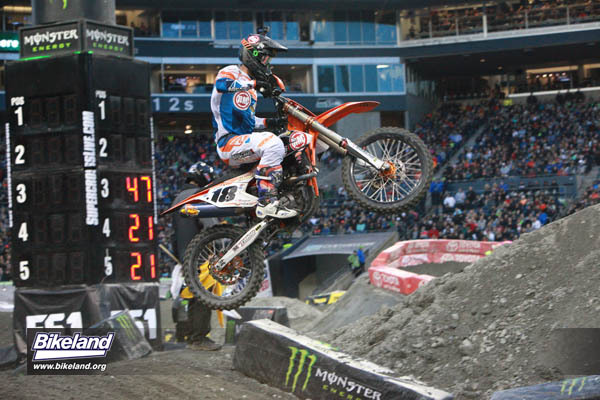 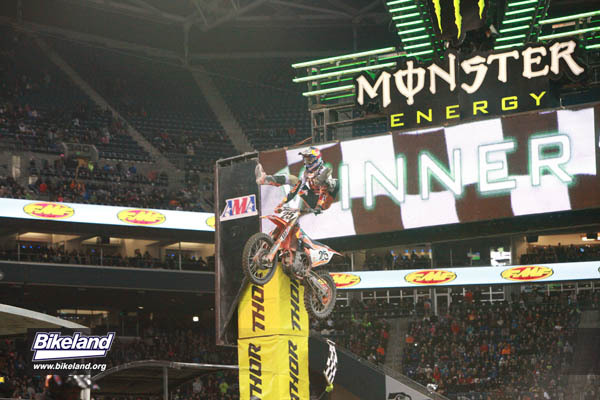 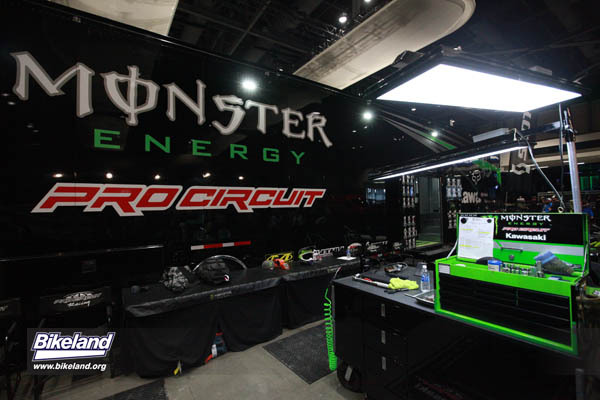 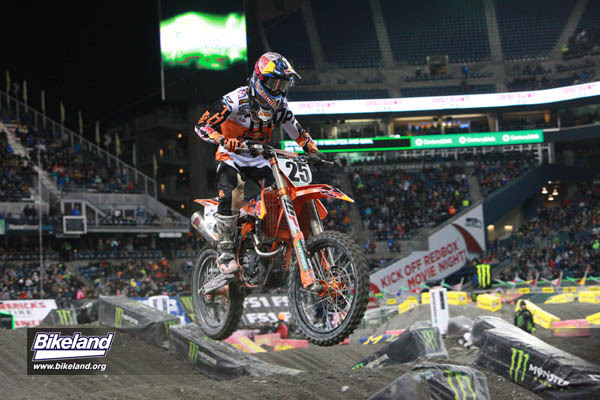 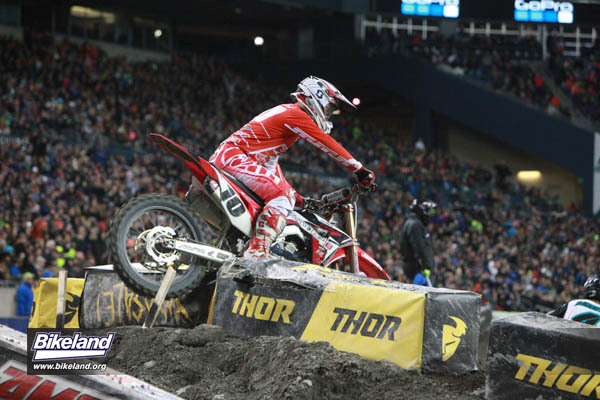 In 2014 Monster Energy AMA Supercross was in Seattle. 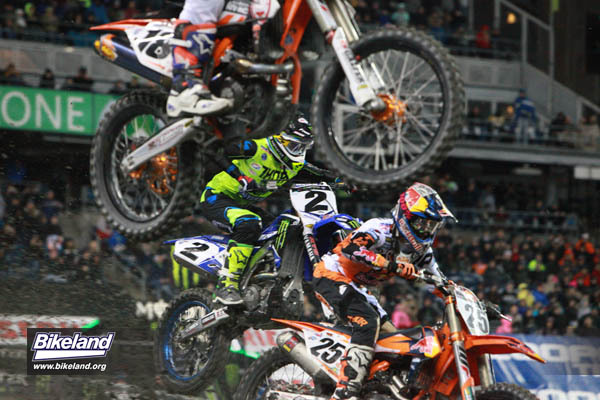 Things have changed in 3 years. 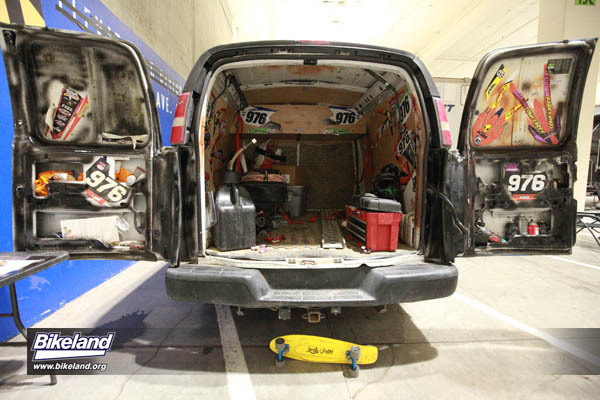 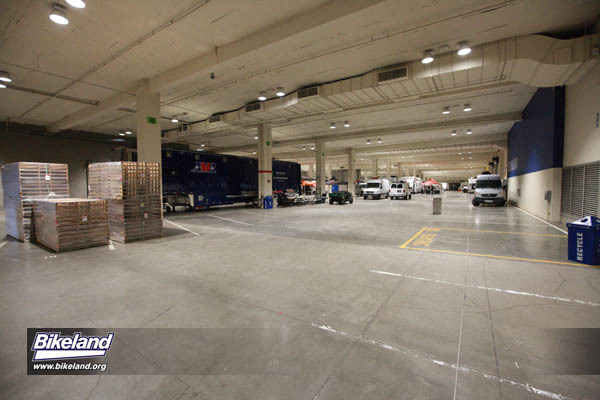 The pits have moved inside due to urban sprawl taking over much of the outside adjacent parking lots. 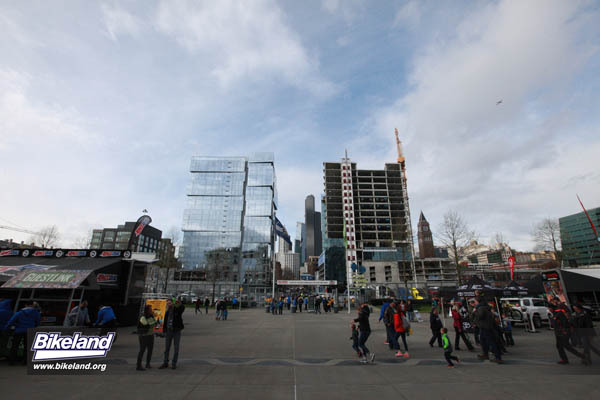 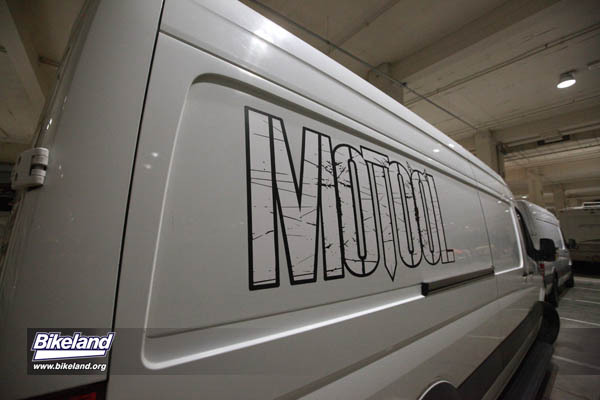 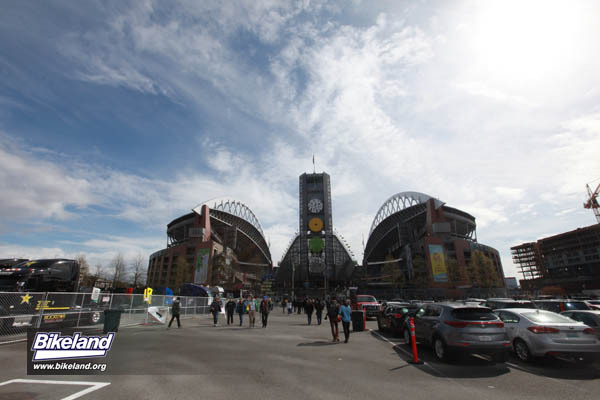 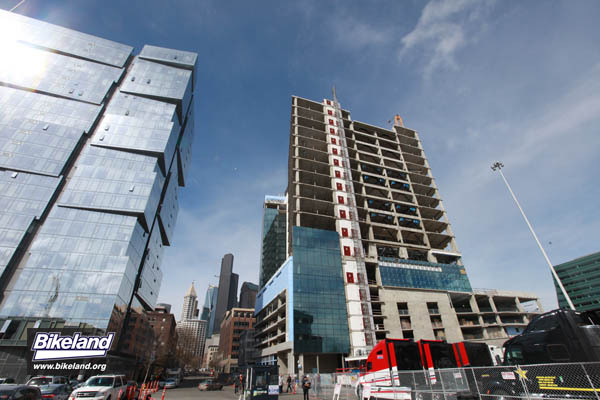 The move has mixed reviews from fans – it does rain a lot in Seattle. 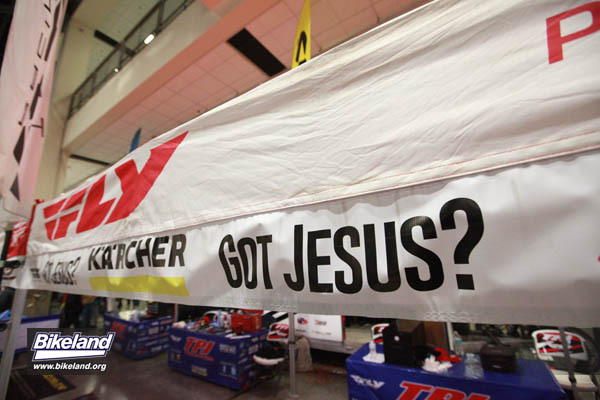 Especially this year. 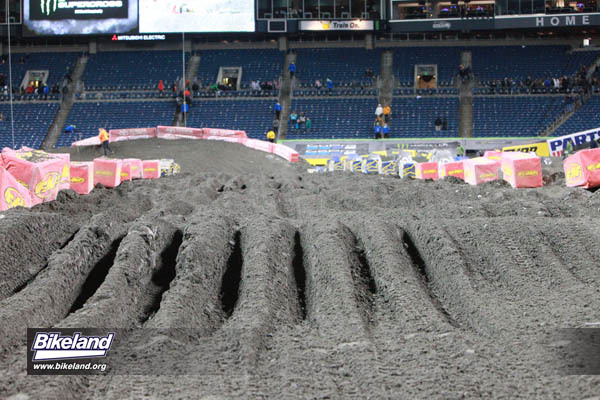 And a $10 pit pass is much easier to enjoy when you are not walking in the puddles and getting soaked through. 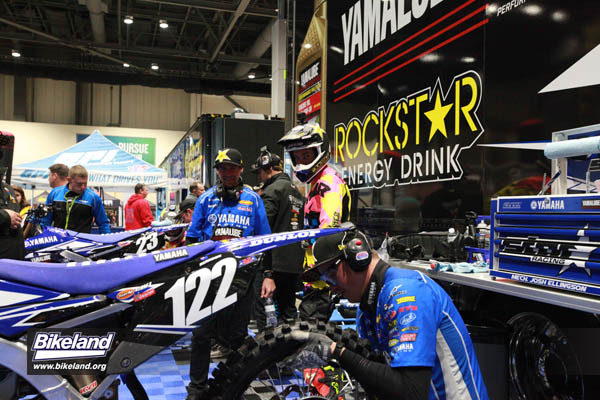 Being in the building gives you the chance to linger and watch the crew that supports the racer prep the bike and complete their pre-race checks. 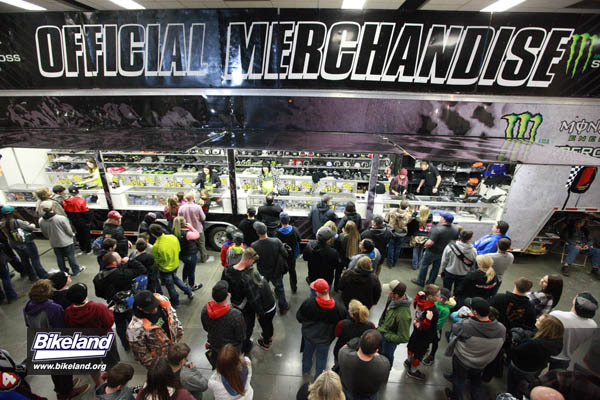 Lots of give aways and a chance to get an autograph round out the experience. 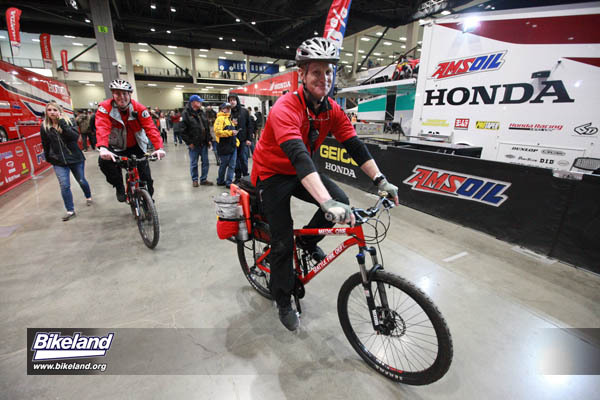 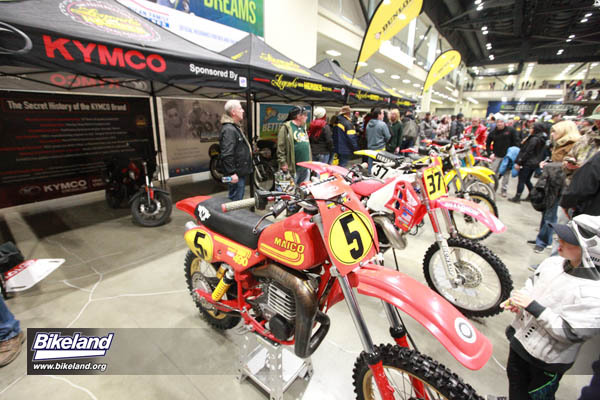 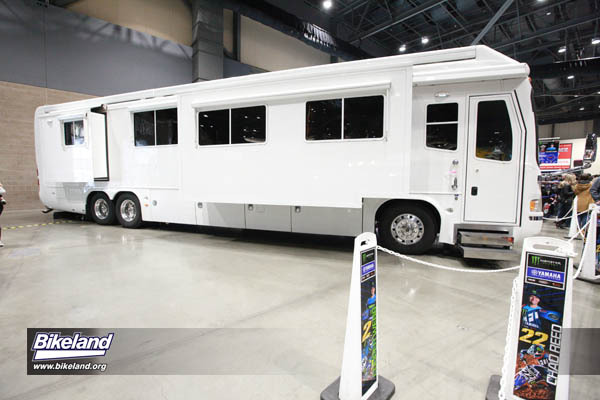 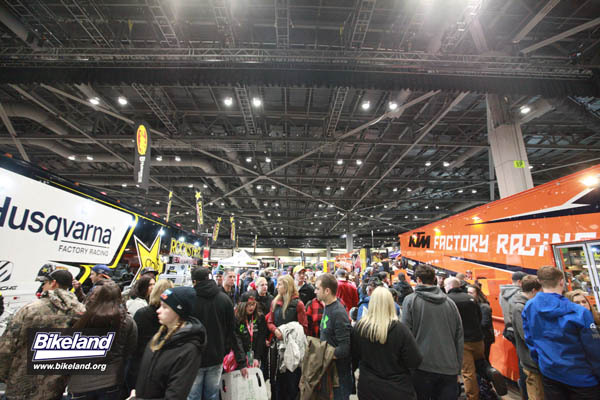 You won’t see all the racers with your pass – the independents are in a separate part of the building, so don’t be too disappointed if you are a fan of one of the people who don’t have a spot on the main floor. 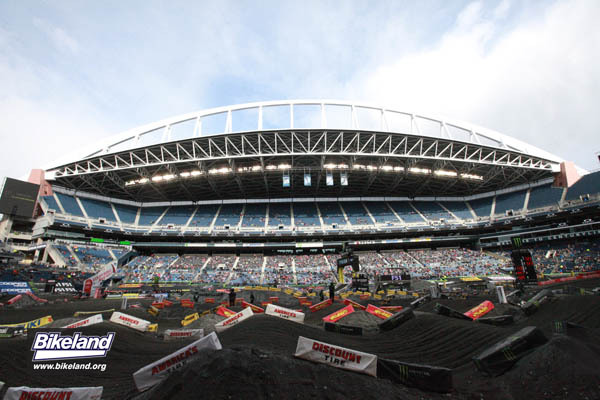 With the race soon starting there are still $15 tickets available. 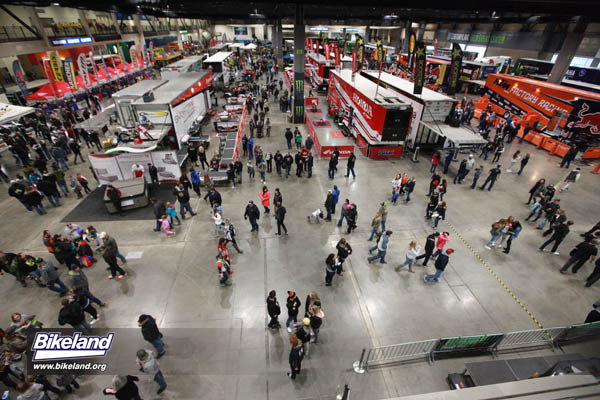 Not bad considering you can get in the doors at 12:30 to see practice and qualifying. 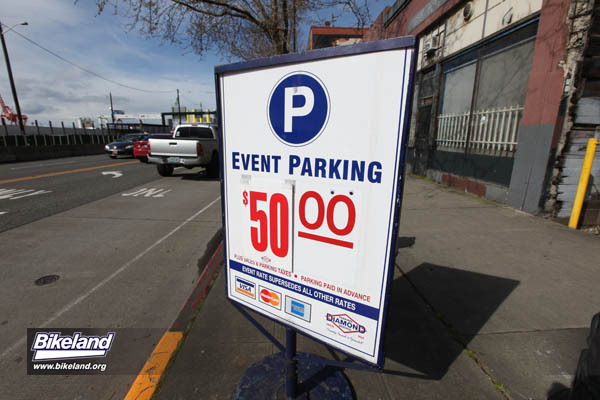 It makes the $50 Parking seem like the most expensive part of the day. 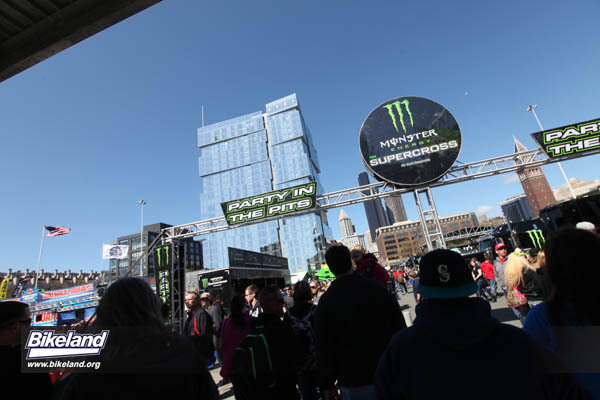 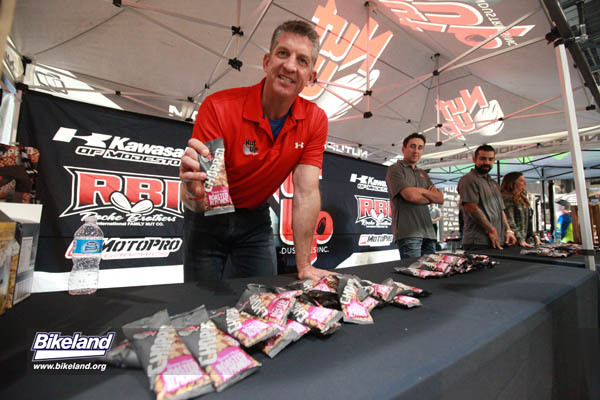 Check for local promotions – for exchanging an energy drink can for a pit pass ticket. 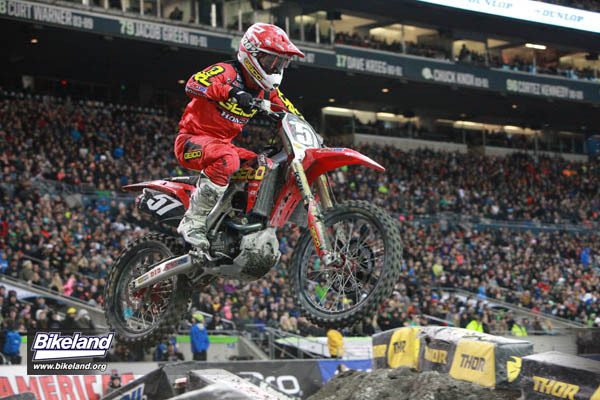 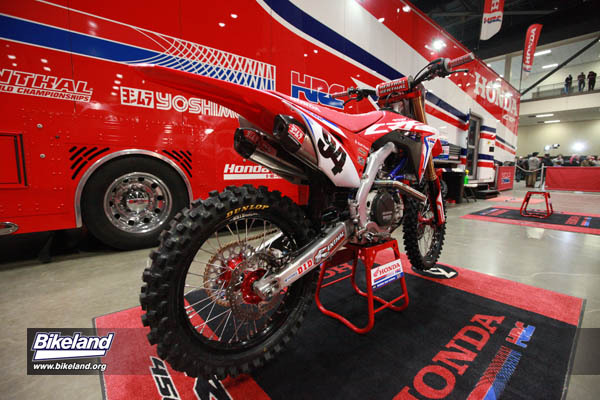 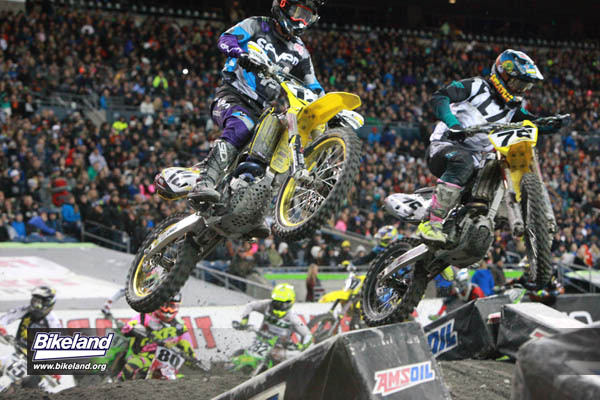 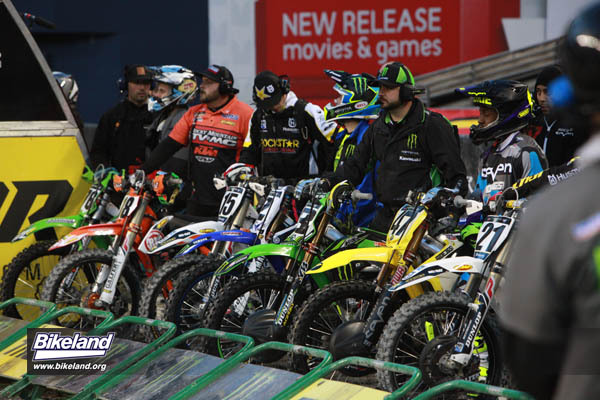 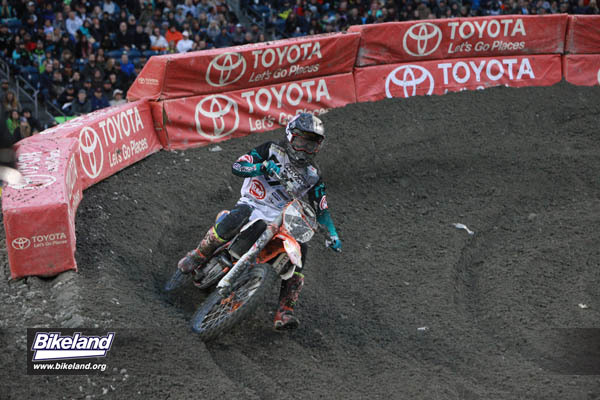 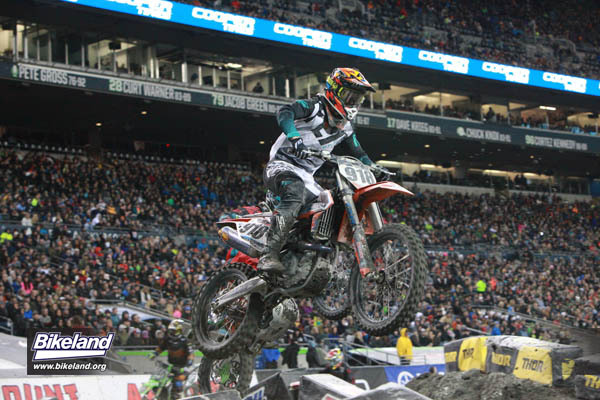 It makes coming to a live Supercross the same as taking the kids to the latest Disney movie – but with the Supercross being an All DAY event – it works out to be the better deal. 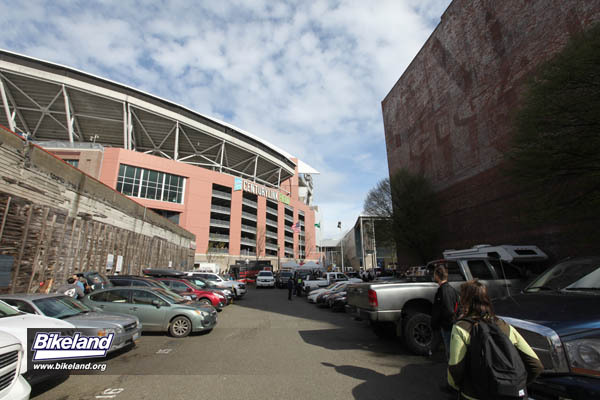 In Seattle parking prices do what they want. 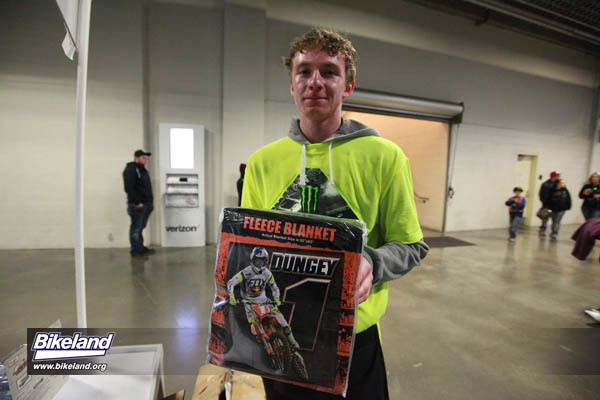 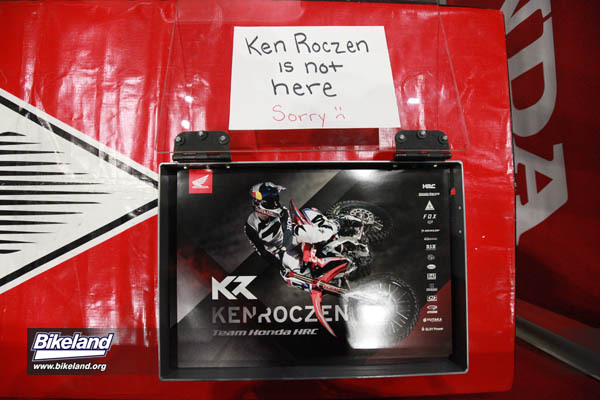 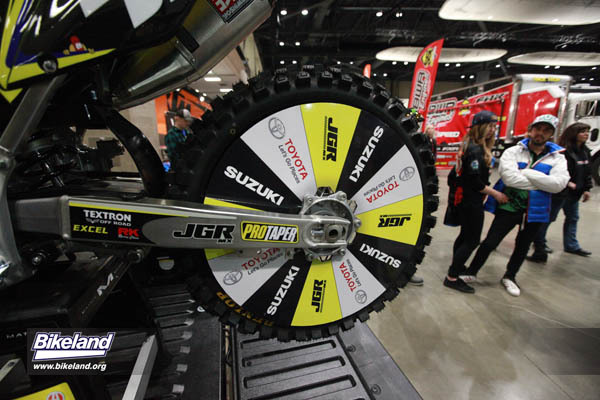 You don’t have to have kids to be a fan of Supercross. 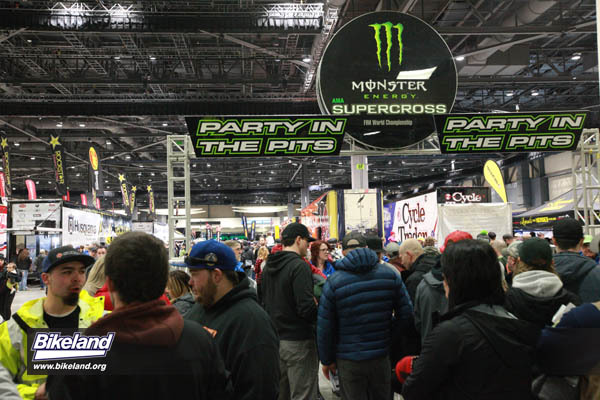 With groups getting together at their tailgates before the race to mingle with camping chairs and food from the street food trucks, there are lots of ways to enjoy Supercoss with friends. 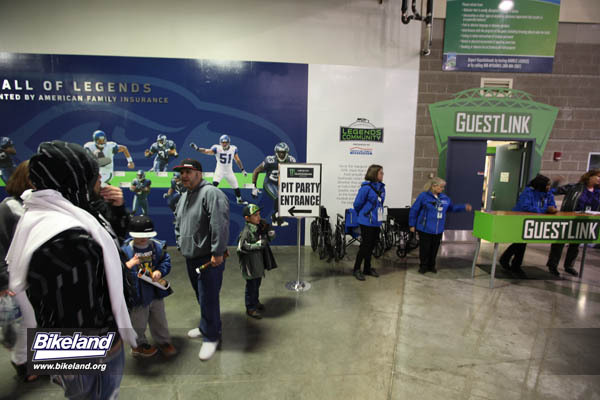 With beer and craft beer options being served inside the party can last as long as you want to enjoy it. 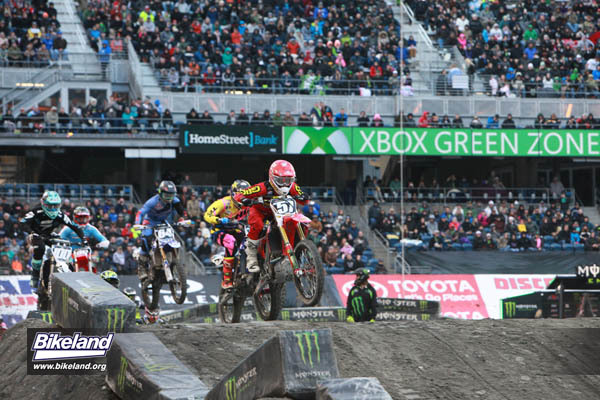 It is ALWAYS a good time in the stands. 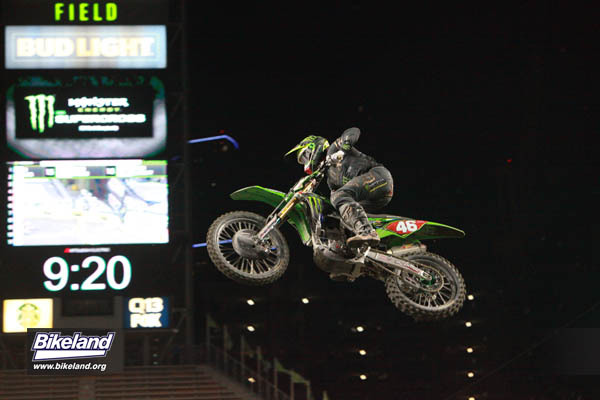 And with Supercross it is ALWAYS a good night on the track, for the fans, for sure. 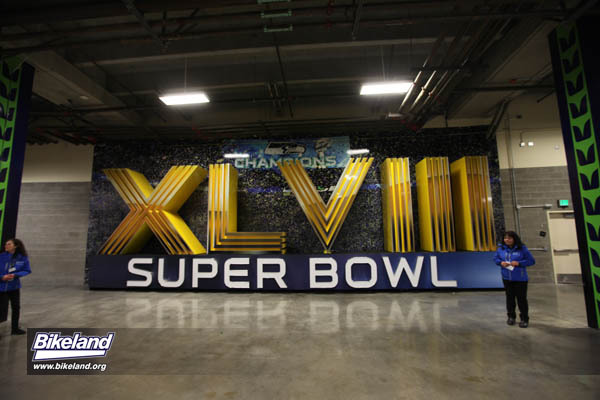 What is a GOOD Idea is the closed caption being typed out live in the stadium. 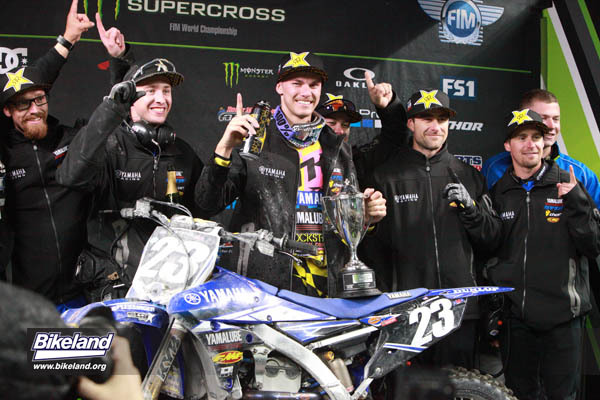 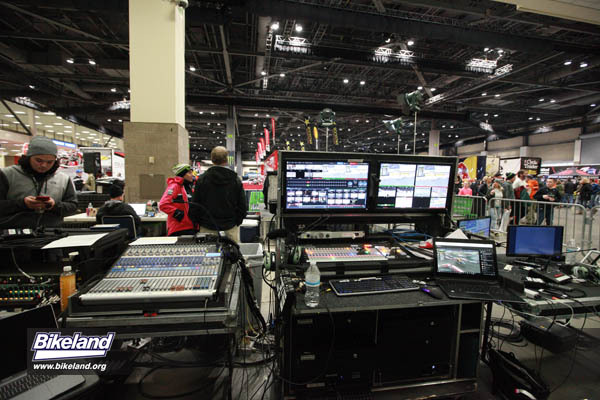 It was a great way to include everyone in the commentators explanations of what was happening and to hear what the Supercross Racers where saying during interviews. 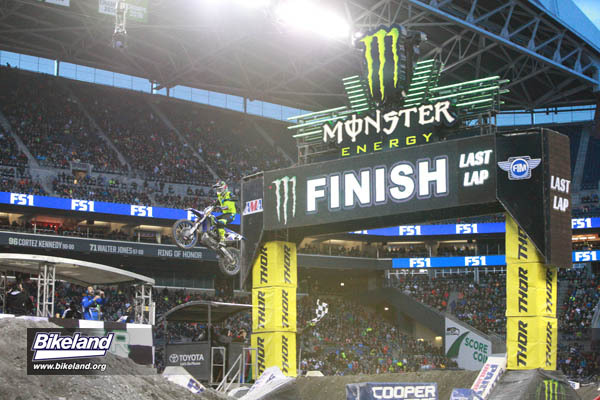 And as far as heros go, Seattle got a sighting of their local Superman Ryan Villopoto as he said hello on the Jumbotron and was interviewed in front of his hometown crowd. 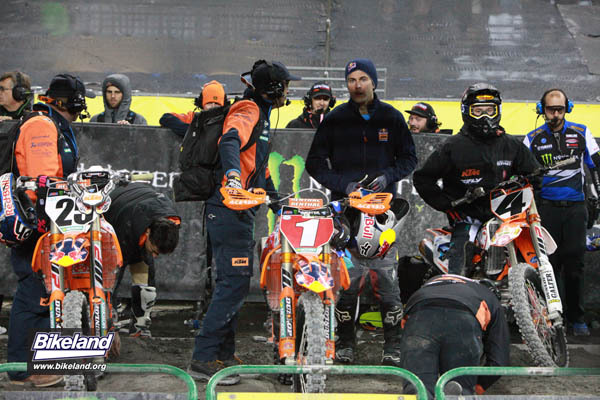 Though the rain held off for the duration of the events, its earlier effect on the track caused the cancellation of practice and a 3 minute shortening of the main events. 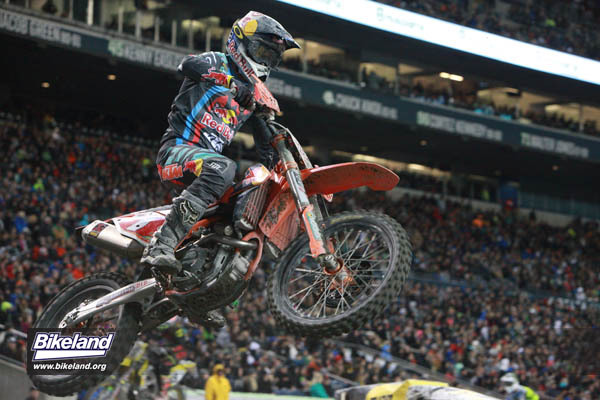 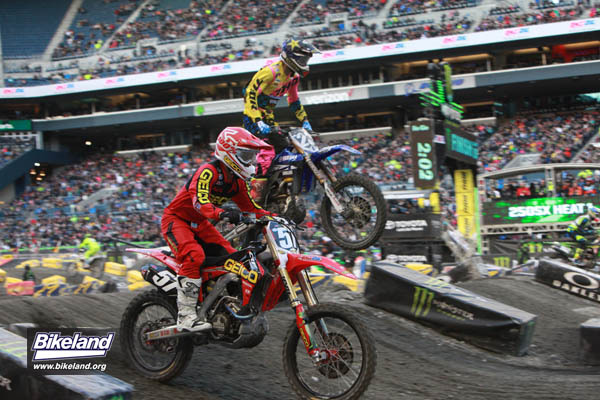 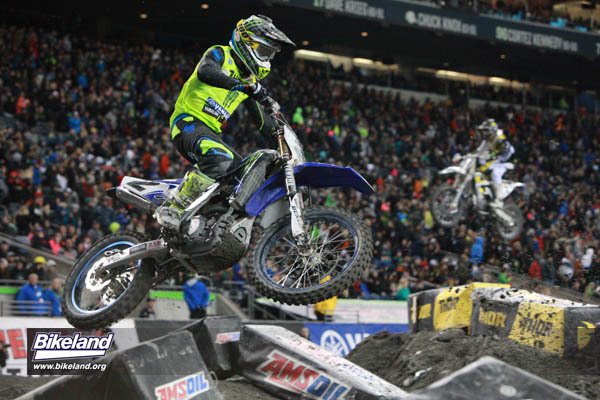 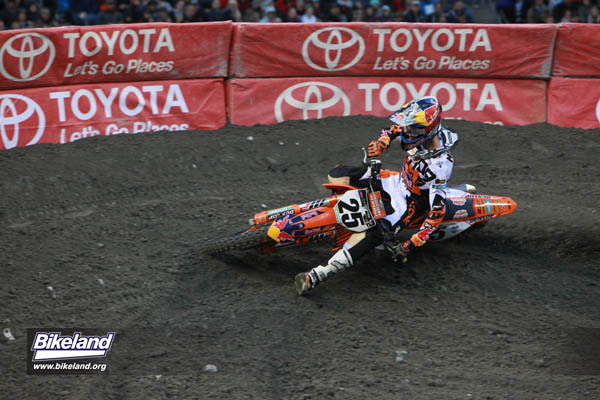 The 250SX Main Event turned into a 2 for 1 as it red flagged a couple laps in. 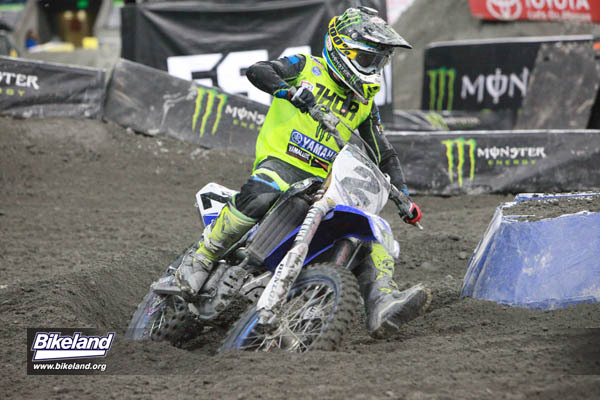 The first start saw #57 Jimmy Decotis get the holeshot. 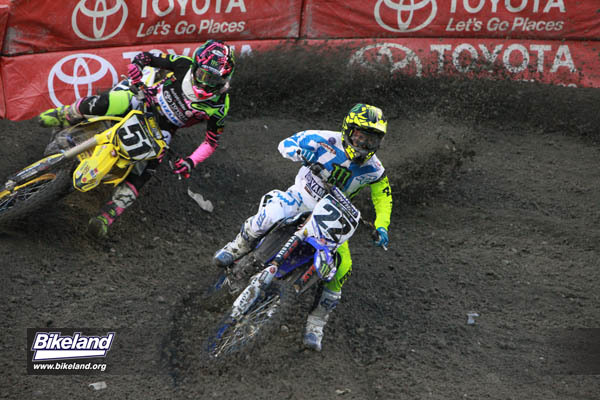 After a lap enjoying the lead #23 Aaron Plessinger passed Decotis for first... and promptly had the moment stolen when #59 Noah McConahy and #99 Chase Marquier went down hard together. 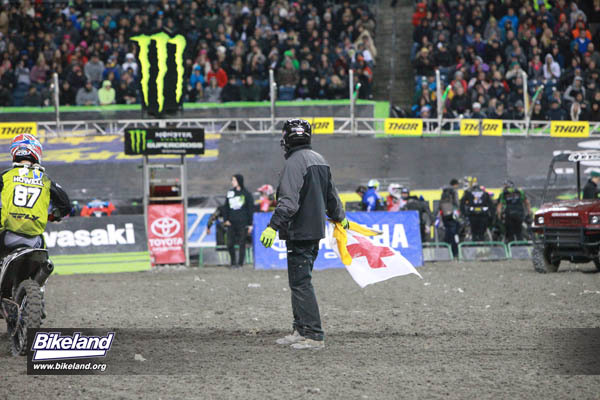 As medics were deemed necessary for McConahy the race was red flagged. 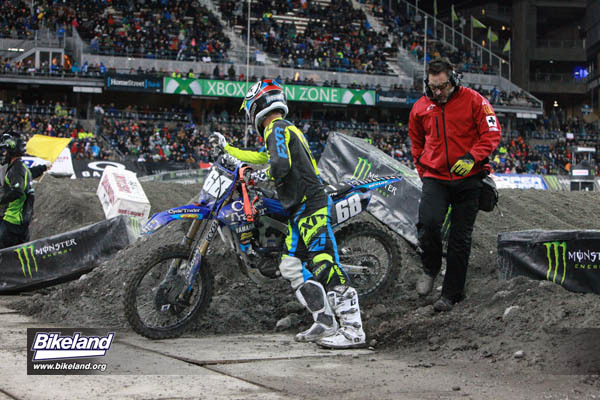 Marquier walked away but neither rider was able to join the restart. 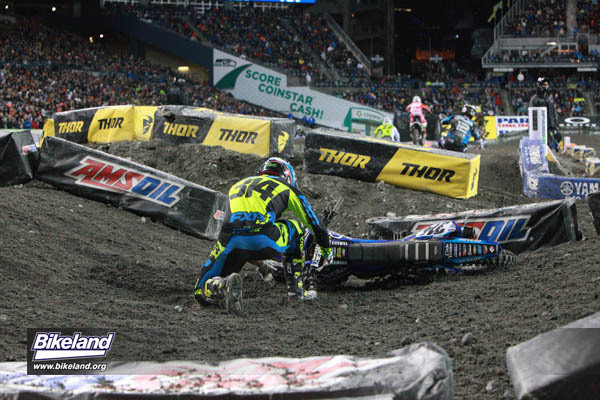 UPDATE: McConahy suffered a broken vertebrae but is expected to recover. 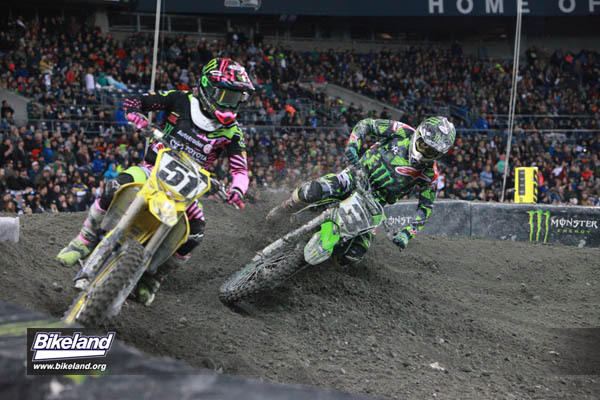 Take two started with #30 Martin Davalos taking the holeshot. 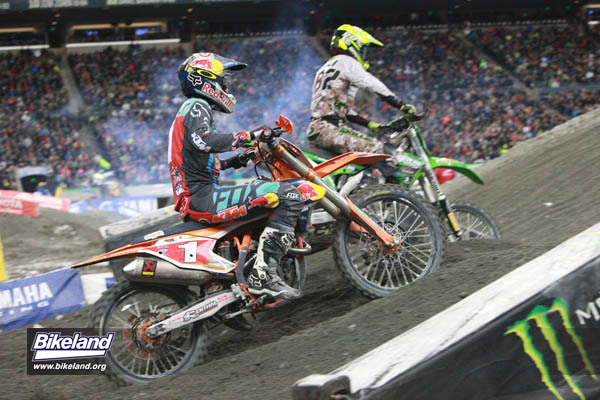 #68 Heath Harrison went down in the first corner and after struggling to get his bike going again gave up and dragged his bike off the track. 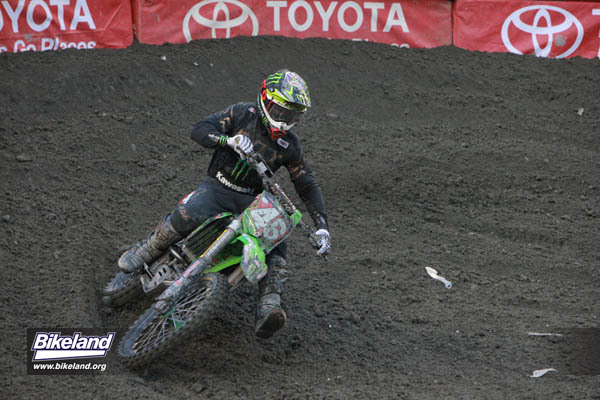 A 3 way fight for first filled the rest of lap 1 with Davalos finishing lap 1 in the lead, followed closely by #23 Aaron Plessinger and points leader and top qualifier #46 Justin Hill. 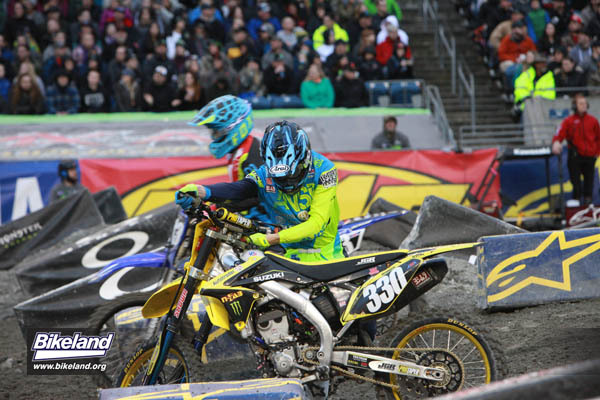 Before long Plessinger tool the lead from Davalos, as did Hill. 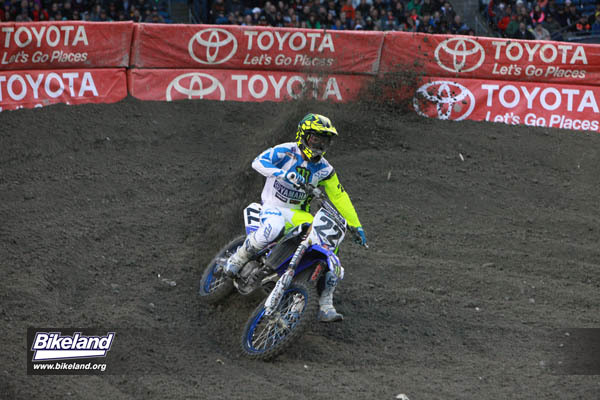 Davalos' slowed pace had #57 Jimmy Decotis nipping at Davalos' heels as Plessinger and Hill build up comfortable leads. 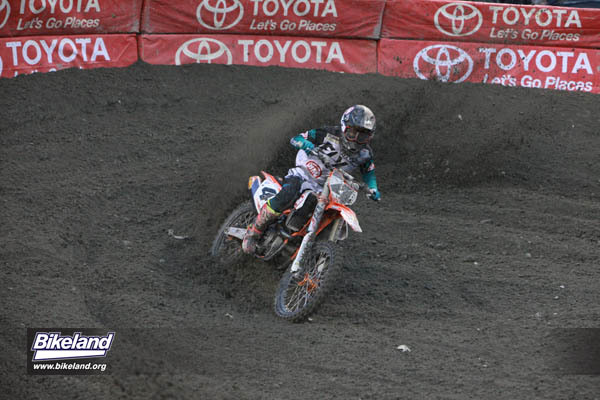 Davalos' fall from a strong start finishes with Decotis and #28 Mitchell Oldenburg finding their way past the early leader. 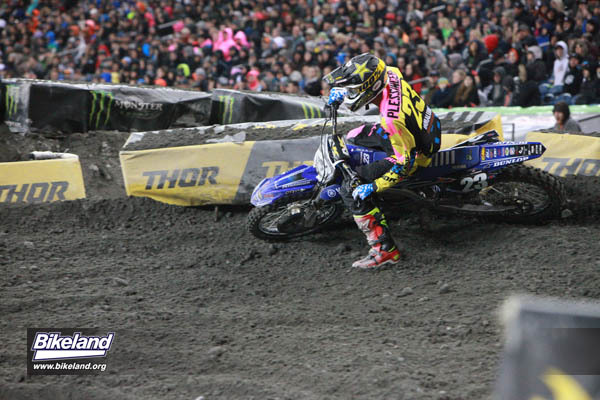 Oldenburg decided that wasn't enough and took a spot from Decotis too. 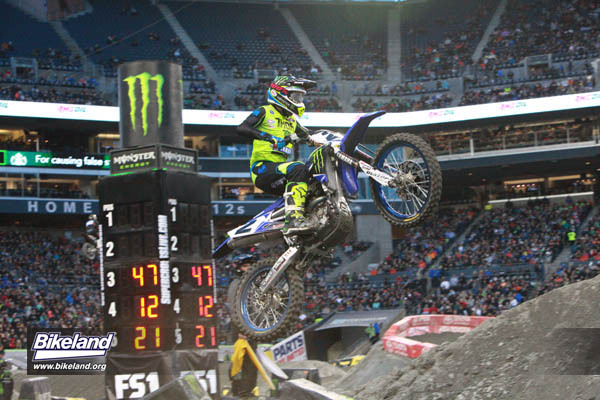 That's the last of the action though as Plessinger picks up the checkered flag, with Hill getting second, and Oldenburg getting his first turn on a Supercross podium. 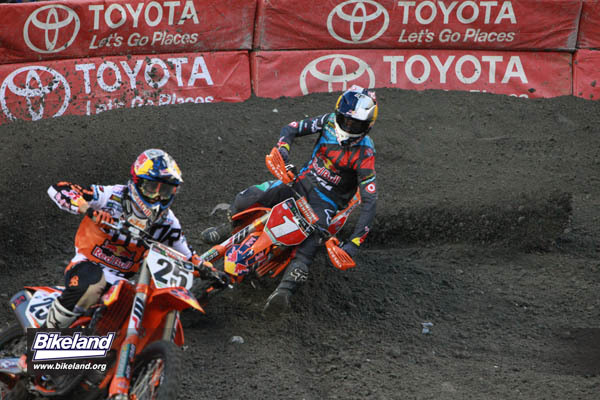 Right out of the gate Points leader #1 Ryan Dungey KTM and #19 Justin Bogle Suzuki crashed and were held back from the front of the pack. 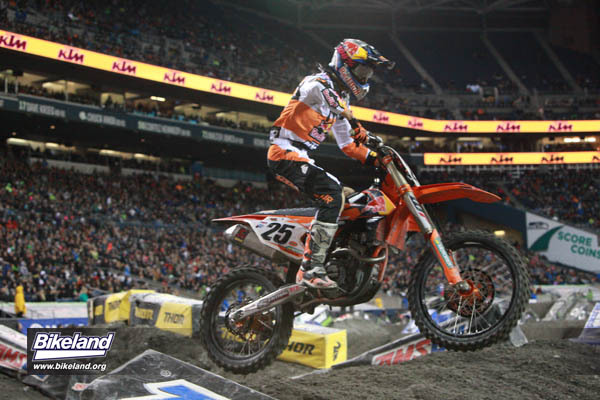 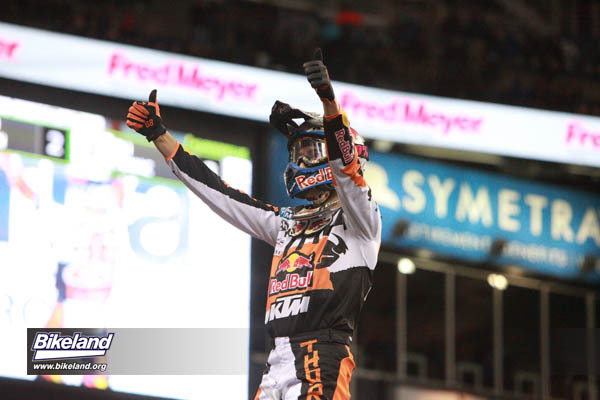 Luckily for the KTM team #25 Marvin Musquin broke out to lead the Main Event. 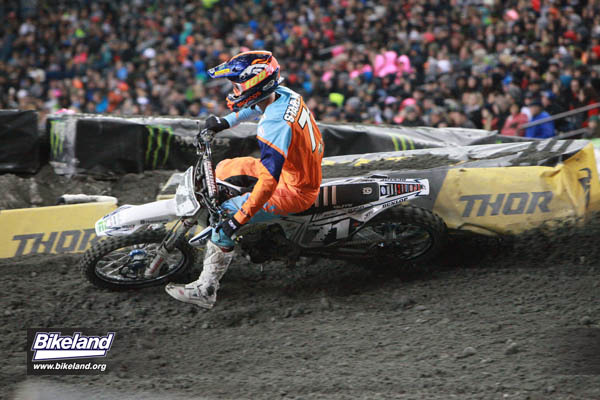 Jason Anderson #21 Husqvarna consistently shadowed Marvin Musquin to hold onto second until the 10th lap when #2 Cooper Webb Yamaha and #3 Eli Tomac (Mr. triple triple triple) passed to take second and third. 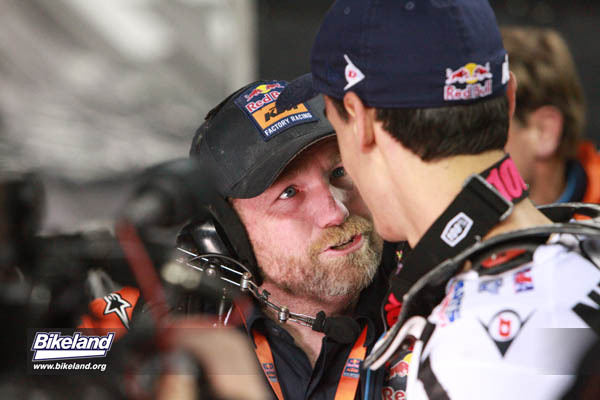 The battle wasn’t over and the order would be shaken up a few times but the leader would remain the same. 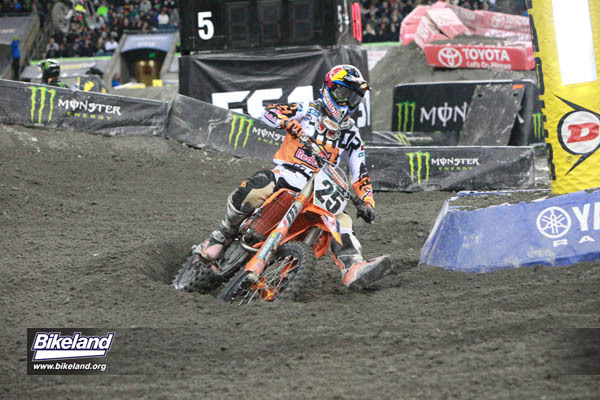 #25 Marvin Musquin Husqvarna took the checkered flag followed by #3 Eli Tomac Kawasaki. 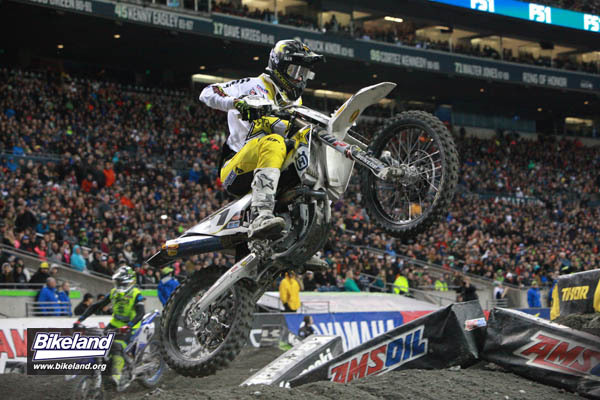 Jason Anderson #21 Husqvarna finished third and all the way up from last #1 Ryan Dungey crossed the finish line in the forth place spot, just high enough to keep himself tied in the points with Tomac. 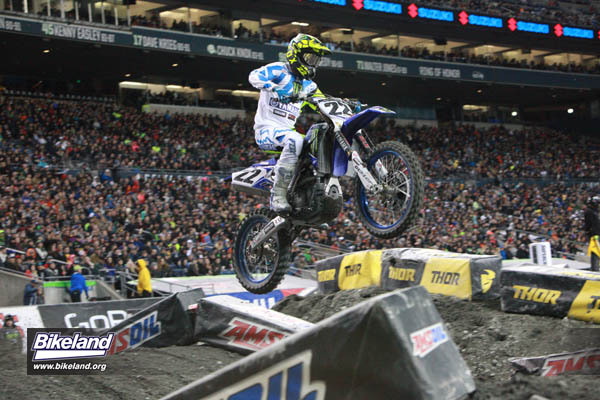 The last spot to round up our top five finishers goes to #18 David Millsaps. 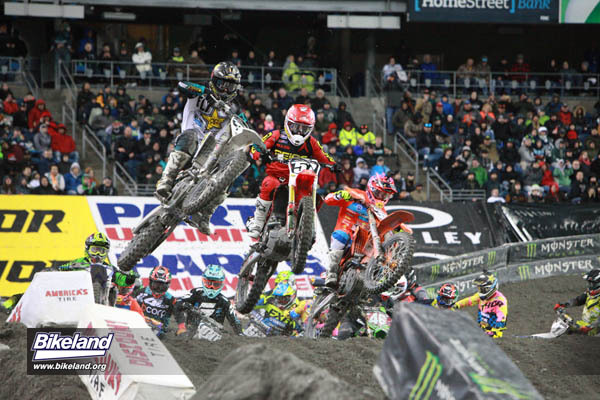 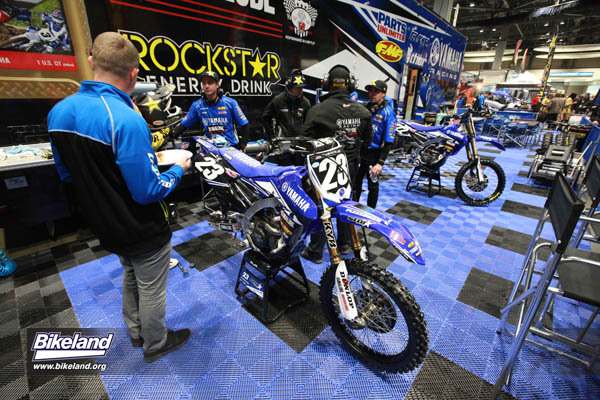 Join the series again in two weeks when Supercross breaks another multi-year hiatus in returning to Salt Lake City, Utah for round 15. 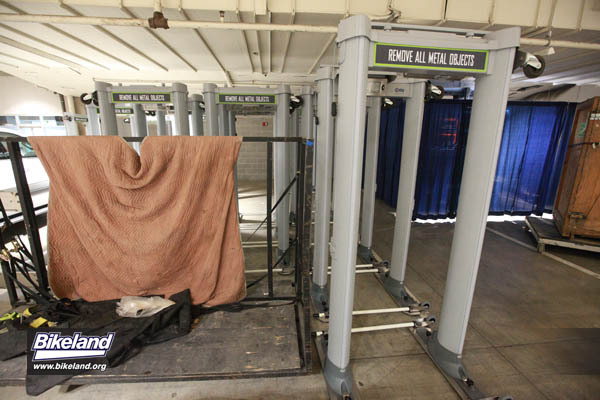 If a metal detector falls in the forest, does anybody hear? 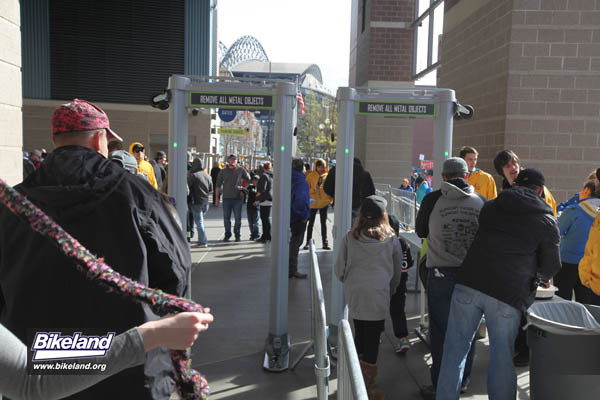 Apparently extra privacy is needed.